With the release of SAP Business One version for SAP HANA 9.1 users were introduced to a new feature called Advanced Dashboards. 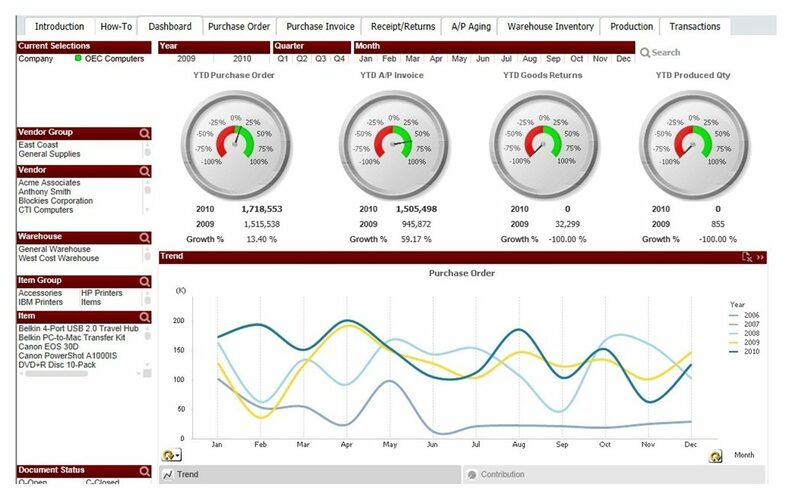 The motivation for the introduction of Advanced Dashboard by SAP is to provide additional insight to users associated with these dashboards and KPIs available exclusively to SAP HANA users. What is an Advanced Dashboard? Advanced Dashboard delivers all of the tools, analytics, and resources you need to make informed trading decisions. An Advanced Dashboard is a type of supplementary cockpit that is launched from the menu of a pervasive dashboard or by clicking on a KPI widget in a user’s main cockpit. It contains a set of pages with additional pervasive dashboards and KPIs. 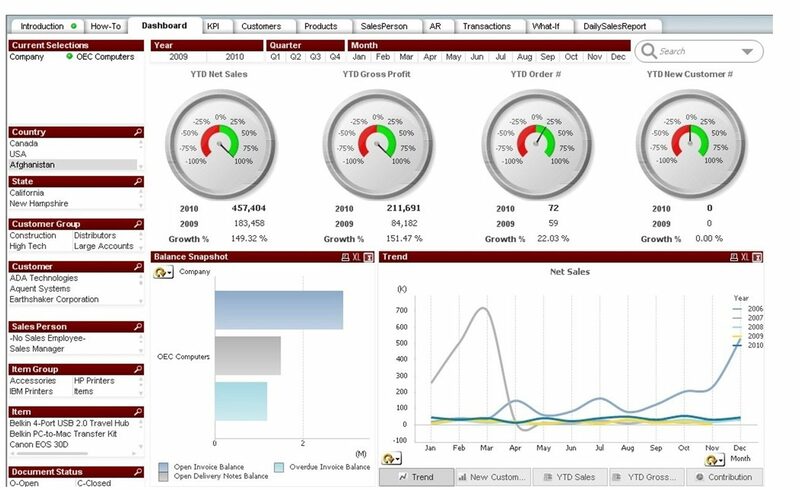 When a user needs a detailed analysis to understand what is driving performance metrics, an Advanced Dashboard provides supplementary cockpits to provide additional insight into the business figures. While Advanced Dashboards can’t be added to the main menu, you can set up actions to access them conveniently through other dashboards you have on screen. 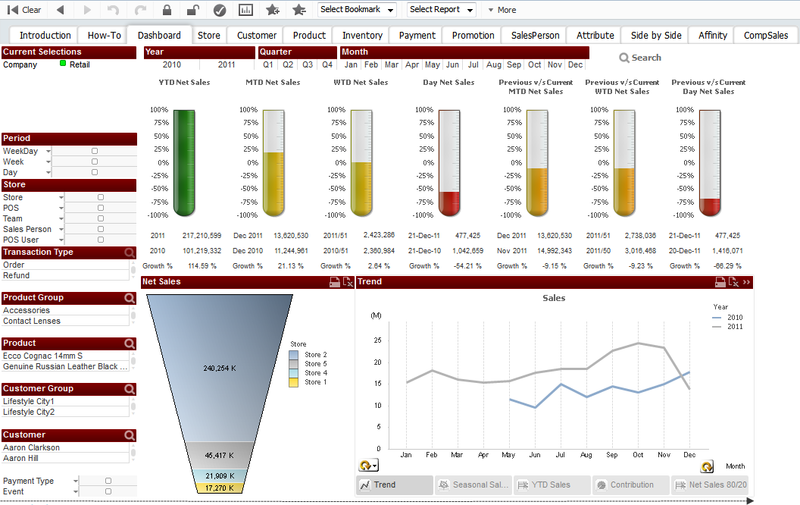 A dashboard such as a ‘Top 5 Vendors by Purchase Amount’ bar graph users can create an action accessible by right-clicking the chart to prompt an Executive Dashboard display within the Pervasive Analytics. You can think of it as a drill down for dashboards. You could also set up an action that when right clicking on a customer listed in, for example, a chart of Top 5 Customers by Sales Amount, you could open the Advanced Dashboard Customer 360 for access to deeper details on that customer including General, Sales, Order Fulfillment, and Receivables. 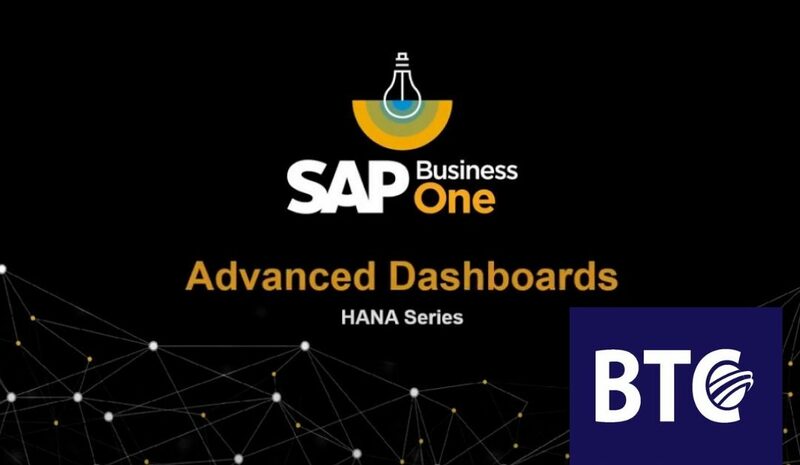 Now that you understand Advanced Dashboards, the next step is to create your own in SAP Business One version for SAP HANA. In Pervasive Analytics, click on New Advanced Dashboard button from the choices on the left of the screen. 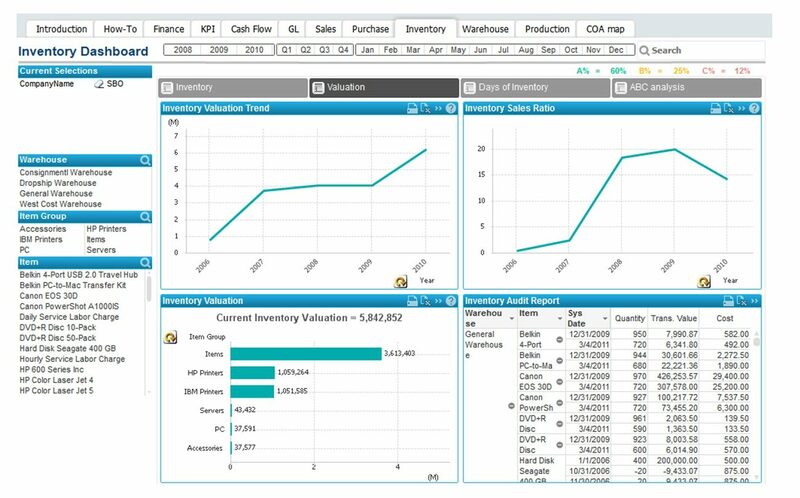 Dashboards, KPIs and pivot tables can be created in the MS SQL Server or the SAP HANA version for SAP Business One. There are specific features associated with pervasive analytics and interactive analysis that are only available in the HANA version of SAP Business One. Next, you can give the Advanced Dashboard a name, and decide how many pages (or tabs) you’d like to add. You may not initially know how many of tabs you want, but you can always add more later. Save your progress using the checkmark in the top right corner to save your Advanced Dashboard. Clicking the report icon with the + symbol to launch the Widget Gallery, you can select from a multitude of dashboards which display small charts and visualizations of business data such as Aging of Payables Overdue, Inventory Turnover, Best-Selling Items by Sales Amount, etc. You’ll also find KPIs in the Widget Gallery that you can add to a tab, including Total Sales Amount (YTD), or Gross Profit (YTD). The BI approach works integrates business perspective to customer perspective, and provides a way to quantify all the value drivers, not only the financial ones. It makes a business more competitive by enabling informed decision making well in time. These ready to use dashboards integrate seamlessly with SAP Business One dramatically reducing the effort required to start using them. Needless to say that new dashboards can be made as per requirements from large customers. These existing dashboards can be customized as per requirements and additional Business Intelligence dashboards can be created for specific customer needs and scenarios.